Welcome back to another exciting episode of Saturday Night Movie Sleepovers! This week J. Blake and Dion Baia are celebrating their 50th podcast (well, sort of) and what better way than to tackle a movie that has become an absolute classic in the annals of 80’s fantasy films. 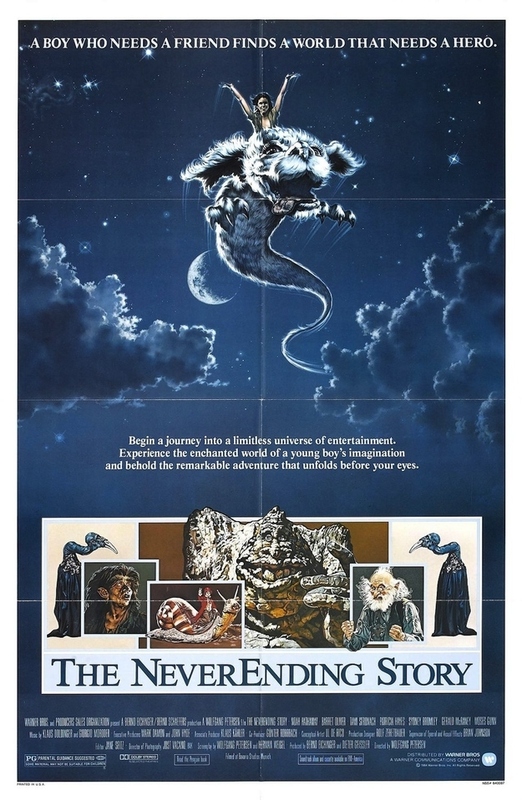 In the crosshairs this week is the sleepover classic, The NeverEnding Story, from 1984. Dion and Blake jump head-on into this very nuanced, multi-layered adventure, trying to psycho-analyze this “children’s movie”, which has themes and metaphors textured within that one wouldn’t really think would be included in what was again purported to be a “children’s film” ; but heck, this was the 80s! Regardless the boys delve right in, discussing the original novel and the differences from page to screen, that eventually made author Michael Ende take his name off the feature film. They also speak about German Cinema in general, and as this was the product of West Germany, NeverEnding Story became the biggest film outside of the United States and the U.S.S.R. upon release. The fellas also chat about the blossoming technology of ‘green-screening’, and the major differences between practical effects (which were utilized in this production), versus the upcoming CGI revolution which was literally around the corner. So to the big question: how does the film hold up today? AND, is it as messed up as we all remember? What was the German’s plan to make sure this was a hit with International audiences? What role did Steven Spielberg have in the film’s production? And what surprising element was NOT in the original German cut, which actually became one of the most enduring aspects of the English-speaking version? Well grab your popcorn and soda, sit back and put your feet up and come celebrate with Blake and Dion as they answer all your questions, and unveil the 50 edition of Saturday Night Movie Sleepovers! Here’s the original International theatrical trailer for the film! Have a look at the original German Trailer! Check out the Music video by Limahl for NeverEnding Story. Mentioned in the cast, take a look at this rare 1984 German Documentary on the film! Here’s a very interesting featurette discussing some people’s interpretations of all the esoteric allegorical spiritual symbolism within the film, courtesy of ODDTV. Finally, have a listen of the entire audio book of Michael Ende‘s The NeverEnding Story. The boys are back for week 3 in their epic October Halloween month of Horror! This time around J. Blake and Dion Baia tackle what some might call an unorthodox choice for a scary movie pick, but it certainly is Disney‘s darkest entry in film and also their most frightening (heck, [spoiler alert!] they go to Hell at the end)! Of course we’re talking Disney’s breath-taking and highly ambitious venture into cosmic Sci-Fi, The Black Hole, from 1979. The boys get into all the minute details of a movie that was so shocking, it quite possibly might have scarred an entire generation of children while at the same time, begot a merchandising campaign so vast, it even gave us a Little Golden Book Edition for those too young to follow along with the terror onscreen. Dion and Blake attempt to dissect the film in the context of the space-mania in the late 1970’s, and Hollywood’s race to the stars on the big and small screen. They talk in detail about the pioneering and breathtaking visuals that sadly, at times were to the detriment of the movie’s story. Was this film actually in development years before Star Wars, as a disaster film no less? Were its groundbreaking Special Effects actually more involved than Star Wars and The Empire Strikes Back, combined? What’s really going on onboard the U.S.S. 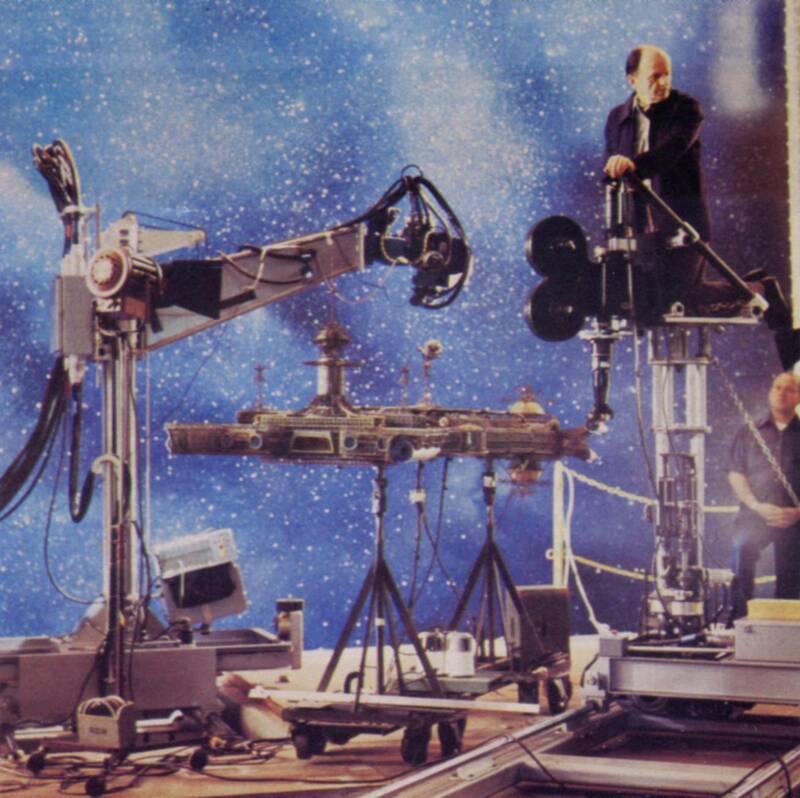 Cygnus between Hans Reinhardt and his evil companion, the hovering robot Maximilian? And learn about the roots of Dion’s fascination with Ernest Borgnine and the yearly event that he attends in the actor’s honor, all on another, terrifying and brand new episode of Saturday Night Movie Sleepovers! 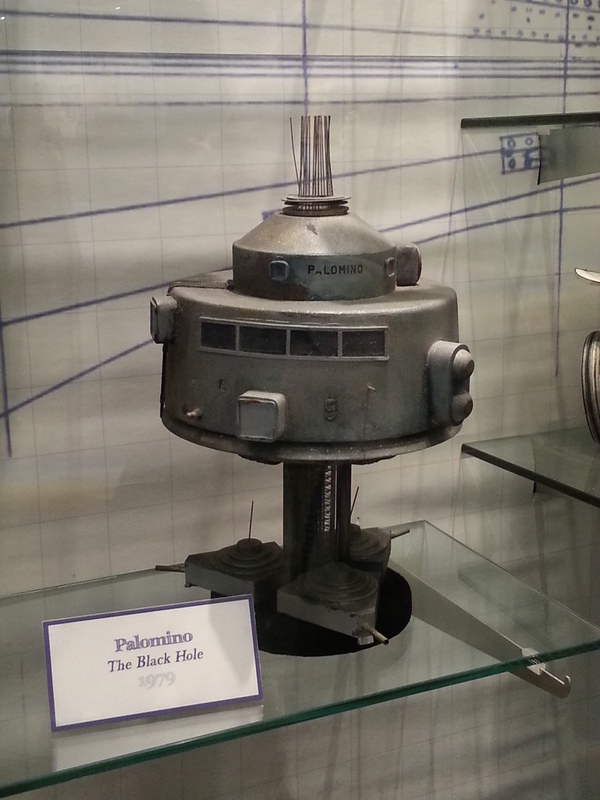 Take look at some EXCLUSIVE PICTURES of some rarely seen items on display in the Frank G. Wells Building located on the Disney Studios Burbank Lot, from when Dion and Blake were given a tour by Uncle Walt and Mickey (okay, Walt and Mickey didn’t give the tour but the lads like to remember it that way!). 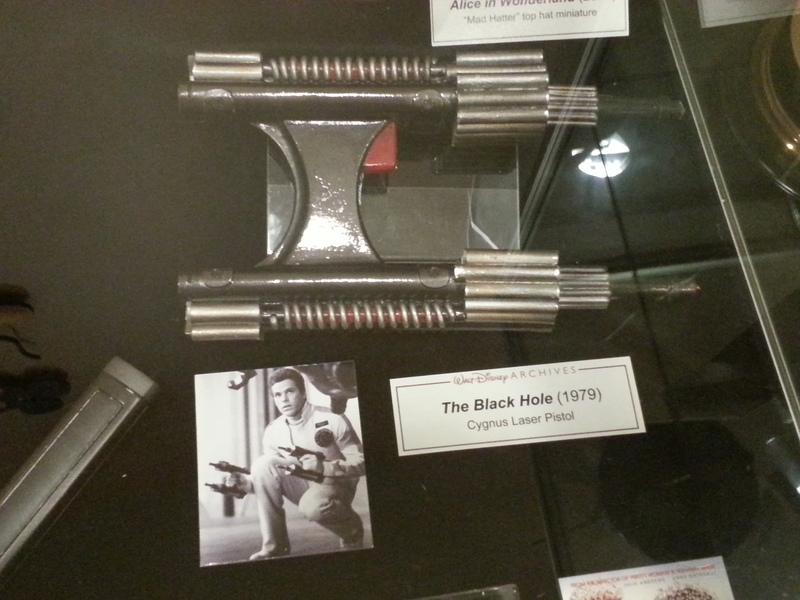 Here is one of the Palomino models used in the film; along with one of the scale models of V.I.N.CENT; AND here‘s one of the laser pistols used in the film. 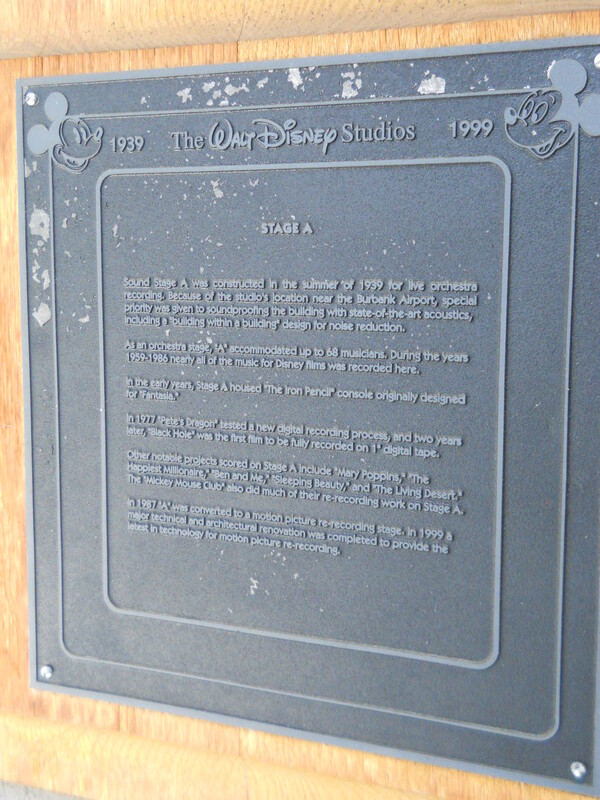 ALSO, here is the plaque outside of Studio A, the recording Soundstage designed to record Disney’s live orchestra music since 1939, and where The Black Hole‘s score was the first to be digitally recorded. 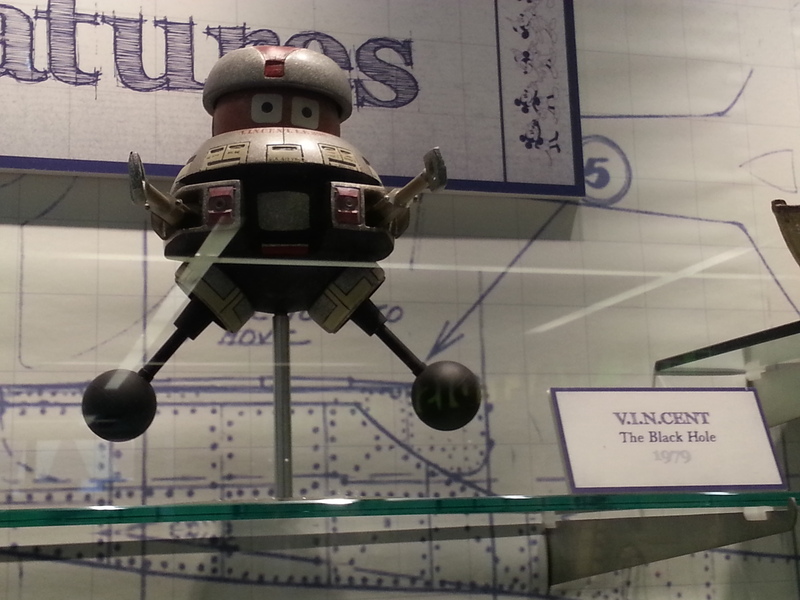 Check out this awesome rarely seen commercial for a toy robot version of V.I.N.CENT! While you’re at it, here’s a vintage commercial for its action figures! Courtesy of BugEyedMonster.com, along with the regular toys, check out some UTRA-RARE Black Hole toy prototypes that NEVER made it to market. 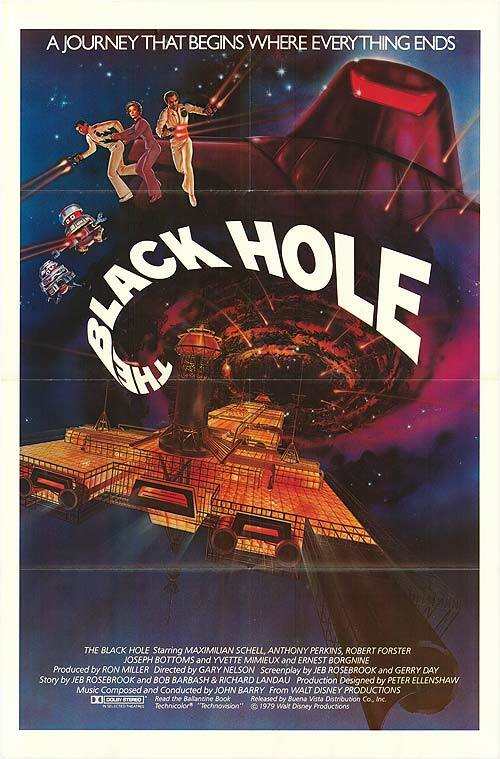 Have a look and listen to the Black Hole Read Along and Aloud record, most notably with different actors voicing the characters, with the exception of Roddy McDowell. Here’s the LP version “Story of the Black Hole“, this time with the actor’s from the film. And he’s Part 2, Side B! 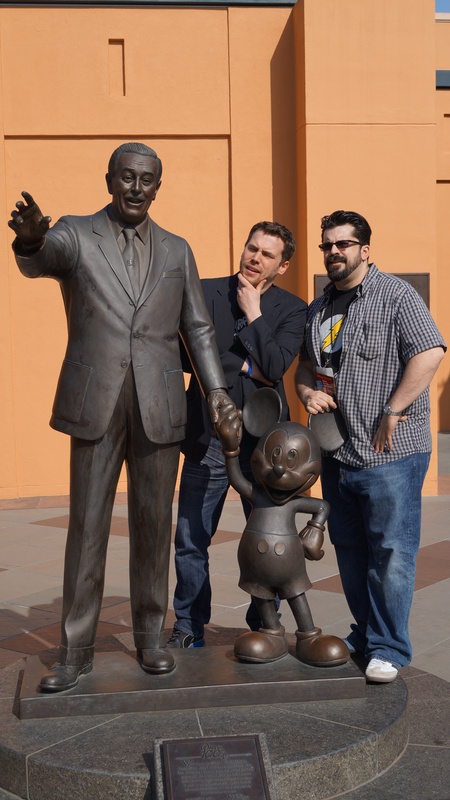 Take a listen to the sister-site Podwits.com Podcast where Dion, Brian Zino and J. Marcus recorded live from the 2012 Borgnine Night!